How much does Facebook love Microsoft these days? Enough that today, Instagram got a shiny new app for Windows 10 tablets in the Windows Store, including the new Instagram Stories feature. Meanwhile, iPad owners are still waiting on a better option than just using a grainy, elongated version of the iPhone app, as the Verge’s Tom Warren points out. 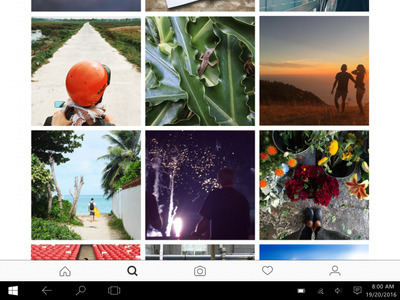 Theoretically, you can use the Instagram app on any Windows 10 computer. But according to the official Windows blog, you need to be using a device with a touchscreen and a rear-facing camera — in other words, a tablet or Microsoft’s Surface Book laptop — if you want to upload photos. This is just the latest fruit of a series of partnerships between Facebook and Microsoft. 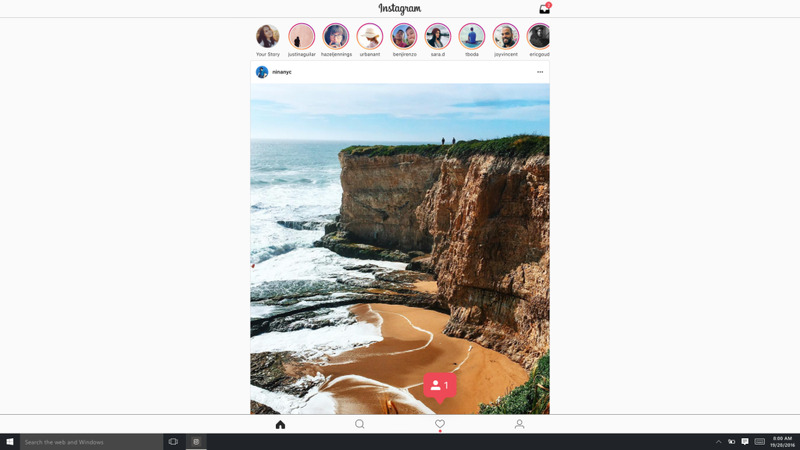 Back in April, a Facebook app debuted on Windows 10 PCs and tablets, while Instagram came to Windows 10 Mobile smartphones, few though they may be. The Microsoft/Facebook friendship goes even deeper, too. Microsoft’s gaming division and Facebook’s Oculus have their own little partnership going on, to support Xbox One games in virtual reality with the Oculus Rift. The two companies are also going hand-in-hand on everything from developer technology to chatbots. And Microsoft, recall, invested in Facebook way back in 2006, although it has since divested its stake. Facebook still relies on Apple’s iOS and Google’s Android for the vast majority of its reach on smartphones and tablets. But as Facebook keeps building out its apps on Windows, iPad fans are sure to feel a little jilted.